If a $60,000 kitchen renovation sounds like a lot of money, just wait until you see the price tags on these ultra-lux kitchens. Some of the world’s most expensive kitchens include appliances that cost as much as entire kitchen renovations in the real world. The Colosseo Oro kitchen was invented and designed by London-based kitchen designer Marazzi. Marazzi made just 10 of these luxury kitchens sporting futuristic looks. The appliances packed inside cost over $83,000, and the total kitchen cost $456,000! If that’s not mind blowing enough, the Fiore di Cristallo kitchen cost $1.6 million and includes a Swarovski crystal chandelier (priced at $42,000), wine climate cabinet, a genuine stone worktop and a crystal island ($59,000). Designed by Claudio Celiberti, the Fiore di Cristallo kitchen launched in 2012. Here are some things the world’s most expensive kitchens include. Let’s start with Steven Klar’s kitchen. Klar is a developer based in Long Island and his kitchen is truly to die for. By no means is Klar a chef, but nonetheless, he chose to add a commercial grade kitchen to his penthouse apartment. Real-life chefs love Klar’s kitchen so much that many have hosted their own dinner parties out of Klar’s home, or rather his kitchen. Klar’s all-star kitchen includes two Bosch dishwashers, a Scotsman ice maker, two Sub-zero refrigerators, and 6-burner commercial grade Russel Range with a barbeque that vents outside. That means Klar can enjoy BBQ food, rain or shine, right inside his kitchen. Oh, and did we mention Klar has a second kitchen in his 73rd floor penthouse? People with enough money to install stellar kitchens of this caliber don’t typically cook all that much, but they do enjoy entertaining. A good party often includes hiring a chef to whip up delectable treats and meals in your kitchen, and for that reason the super-rich covet chef-friendly kitchens. Most high-end kitchens include a butler’s pantry, because well, what’s a kitchen without one… right? 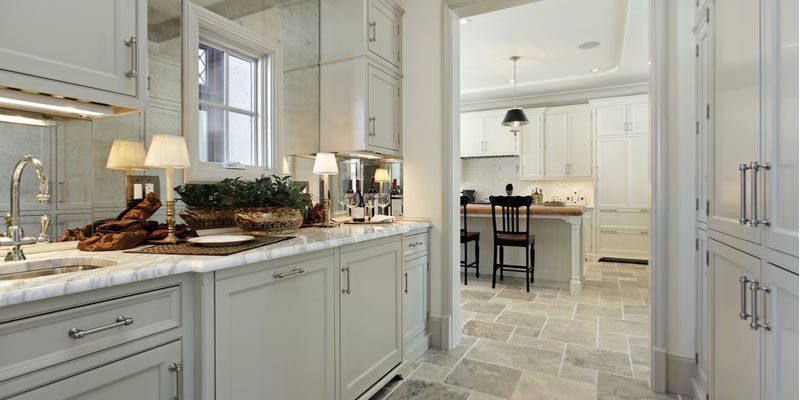 If you host a lot of parties, the butler’s pantry serves as a beneficial space to help offset the flow of traffic, giving people extra space to gather. It’s also a useful place to set out catering items, utensils, and so forth. According to Forbes.com, some people use the butler’s pantry as a second kitchen, a place to eat meals without messing up the entire kitchen. So even if you don’t have a massive home full of nonstop parties catered by celebrity chefs, you still might want to consider adding a butler’s pantry. Wine refrigerators are a new must-have luxury item in high-dollar kitchens across the world. Thankfully, you don’t have to be a billionaire to add one to your kitchen. There are plenty of affordable wine refrigerators for sale, you’ll just need the right place to store it—did somebody say butler’s pantry? 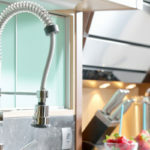 Walk-in refrigerators are expensive and require a lot of extra space, but they are cool, cool enough to show up in some of the world’s most expensive kitchens. Not all of us like walking into the open refrigerators at Costco, so I’m not sure how I’d feel about walking into my fridge every time I wanted a water. Still, imagine all the additional storage space you’d score. It’s a total show-off feature, just try not to get locked inside. It looks like an ordinary drawer, but when you pull it out it’s a mini-refrigerator where you can store fruits, veggies, and just about anything else. The opposite of a warming drawer, this is the perfect addition for families that constantly run out of fridge space. As a custom feature, it’s going to cost you a small fortune. You might want to opt for a larger refrigerator instead! How often would you use a fireplace in your kitchen? High dollar kitchens often incorporate fireplaces into their design. If your space is large enough it can look nice and create a fun gathering spot on cold nights. 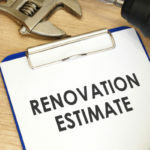 It costs more money to knock down walls during your kitchen renovation, but it might be worth it. 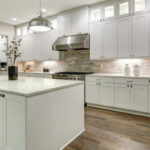 According to brokers and real estate agents, people want open kitchens that connect with other living spaces, a fact that has remained unchanged for many years. While some experts report the trend is dying, home sales pack a powerful punch in letting us know people continue to pay more for houses with open kitchen floor plans. Hence why the world’s most expensive kitchens typically spill into other gathering spaces of the home. We are here to help you score a high-end kitchen for less! 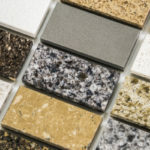 We offer high quality kitchen cabinets and countertops at affordable wholesale prices. Contact us today or visit our show room to learn more and shop our wide selection of inventory.